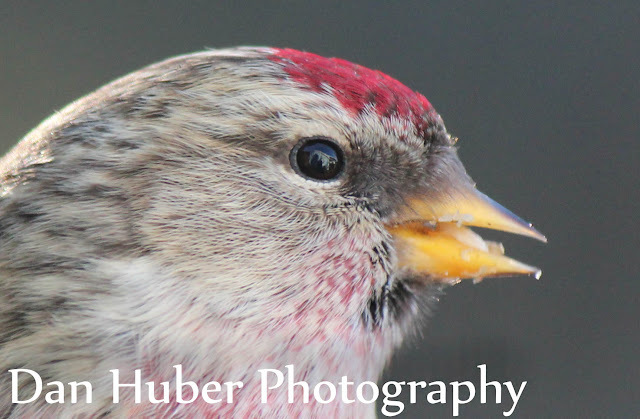 No, not with a macro lens, but up close shots with my zoom lens from 2-4 feet away. I have found if I wait for them to feed while I sit 20 feet away, I can slowly edge closer, never making direct eye contact and get quite close. 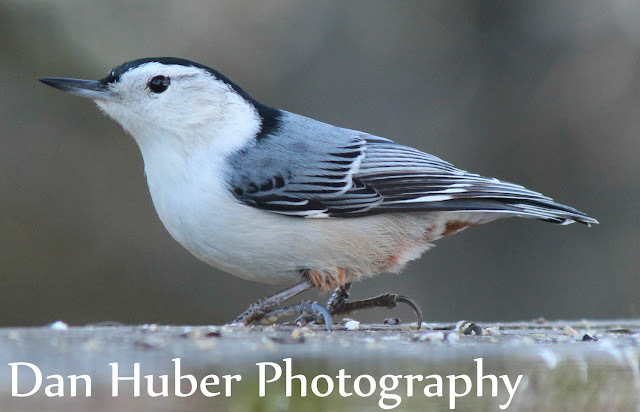 This weekend I was within 1 foot of many birds, and keeping still I was able to get some wonderful close looks at these birds. 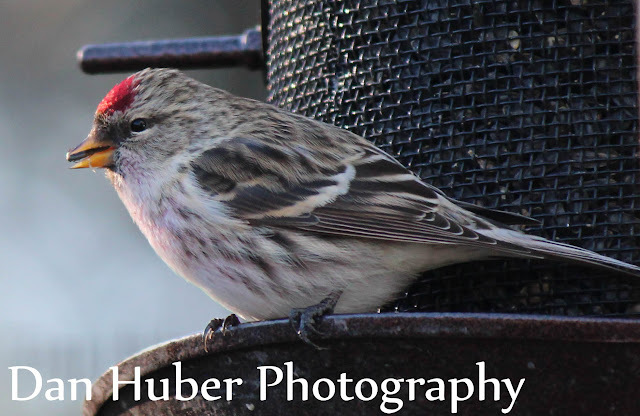 I know some think it is cheating or not as special looking at feeder birds, but I find it very special, allowing some close looks, smudges of dirt, missing feathers, almost allowing the recognition of individual birds. 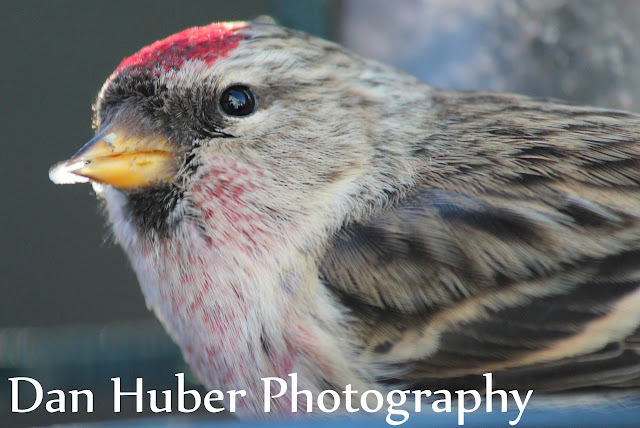 One challenge is trying to keep the whole bird in the shot, but some I tried to get up close on the eyes. In some shots you can see my reflection in the eyes. 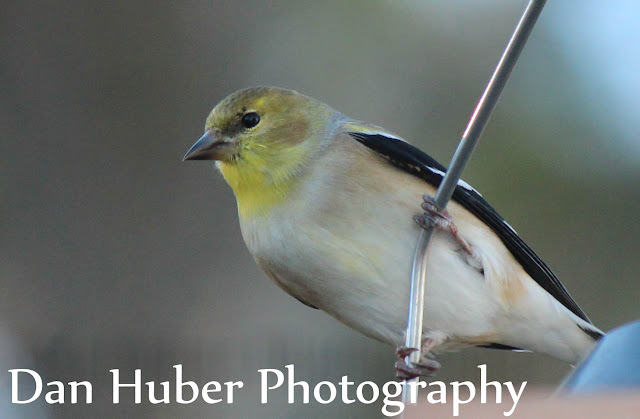 I personally like your technique, I'm always taking pictures of my backyard birds. Very cool close-ups Dan! Those hungry birds in winter can be cooperative, but I've only had a couple experiences like yours. 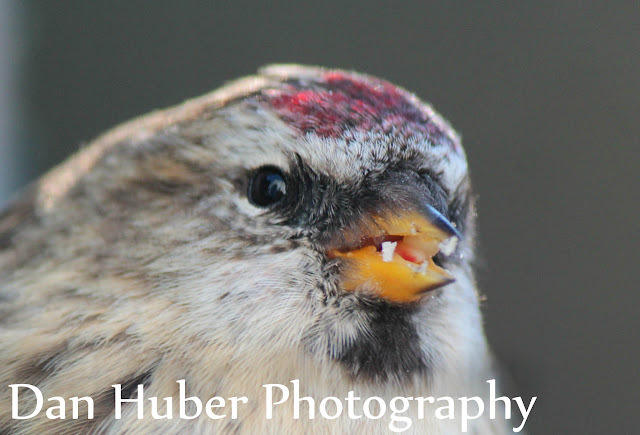 Talk about soul-satisfying views of Redpolls. Brilliant shots, Dan. 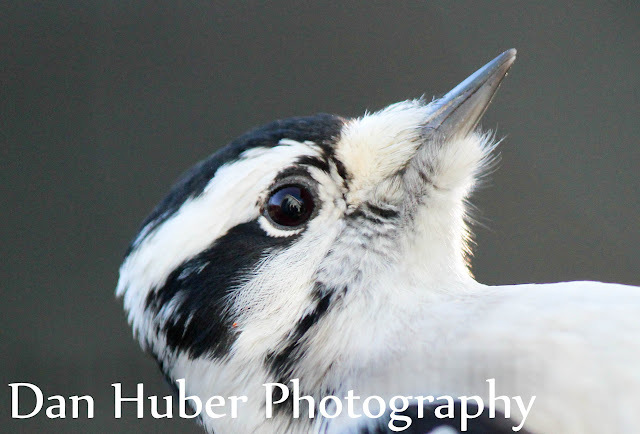 You must have an excellent zoom lens, and of course lots of patience, to get that close. Happy holidays to you and your family! I LOVE close-ups. Great job. Thanks for posting. Outstanding close-ups, Dan. I see nothing wrong with your technique. Beautiful photos Dan. Your patience was well rewarded! Wow Dan, these close ups are incredible!! Great job! 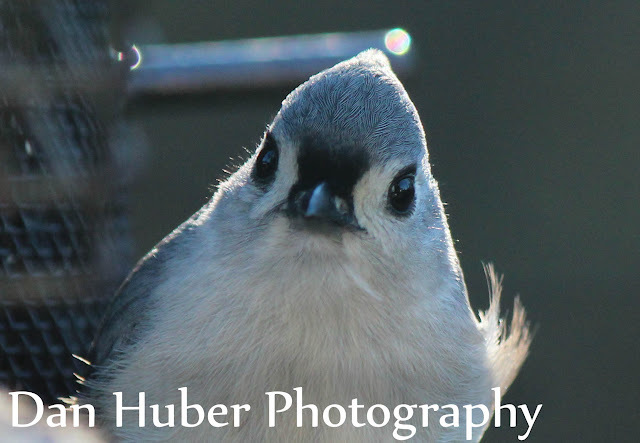 Fabulous portraits of your stunning backyard birds, Dan! Wow, I'm especially fond of the head close-ups, but they all are wonderful. 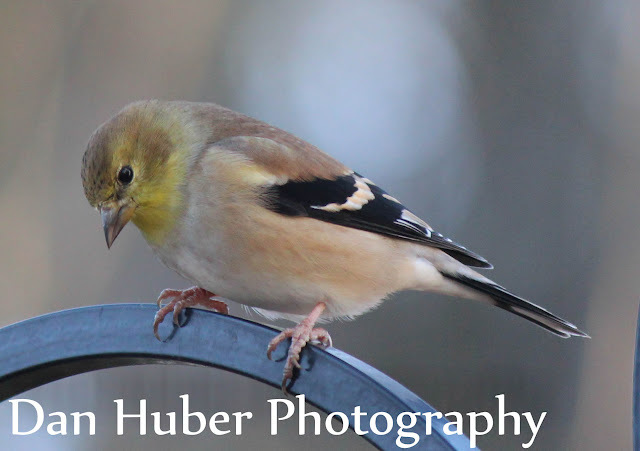 I scrolled through this post several times in appreciation of your fine camera work and the pretty birds. I bet you can get some nice drawings from these images. Drum roll please.....and year bird number 400 is? Not a Dirty Bird Here! Get "Birding is Fun!" Gear! Christmas Bird Counts for Kids!